The new documentary series "Finding Jesus: Faith Fact Forgery" delves into the historical proof for Jesus and other figures in the New Testament, including John the Baptist. In a recent interview with CNN, Candida Moss, a professor of New Testament and early Christianity at the University of Notre Dame who appears in the series, discussed historical proof for John the Baptist along with his relationship with his cousin, Jesus of Nazareth. When asked if there was any division between the followers of Jesus and the followers of John, she responded by explaining how their relationship might've been in the ancient context. "One of the interesting things about the relationship between Jesus and John the Baptist is that John doesn't lay down his tools and follow Jesus after he baptizes Him. Nor, it seems, did John's disciples. They had separate ministries and, while there may have been contact between the two groups, they were also de facto competitors in the ancient religious marketplace," Moss told CNN. She also explained that Jesus' followers had to differentiate themselves from John by explaining that Jesus' baptism was better, countering the prevalent idea that Jesus was actually John raised from the dead. The Bible references people who believe Jesus is actually John the Baptist due to their similar ministries. An example of this would be in Matthew 16 when Jesus asks His disciples who people say that He is. They respond by saying that some believe He's John the Baptist. Moss was also questioned about extra biblical evidence for John the Baptist where she cited the works of Josephus. "Actually, there is external attestation for the life and importance of John the Baptist. This is important because it's fairly rare to find this kind of evidence for ancient figures outside the writings of their followers. The Jewish historian Josephus mentions John the Baptist in his book, "The Jewish Antiquities," said Moss. "Josephus describes John as a 'good man' who possessed 'virtue' and had 'great influence' over the people." 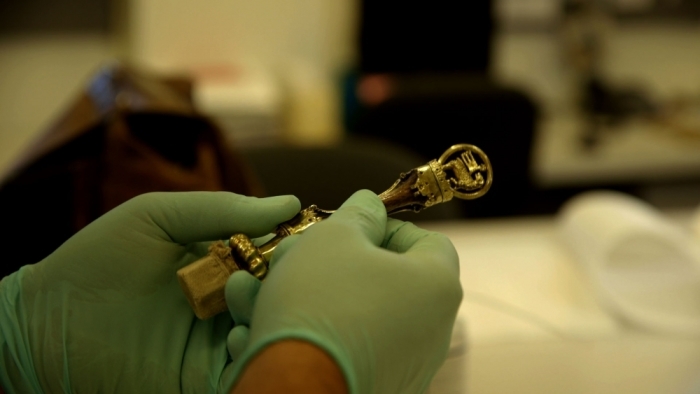 CNN's "Finding Jesus: Faith Fact Forgery" debuted on March 1. The first investigation in the series examined the Shroud of Turin, which is believe by many to be the burial cloth of Jesus during his crucifixion. The series will also examine other biblical figures, including Mary Magdalene and Judas. The series is actually based on a book by author David Gibson titled Finding Jesus: Faith Fact Forgery: Six Remarkable Objests That Tell the Remarkable Story of the Gospels. He recently told The Christian Post that the series will not seek to debunk the historical Jesus, but rather provide common ground for skeptics and believers using artifacts. "We want to move beyond anyone's agenda, and we actually think these artifacts can be a kind of common ground between skeptics and believers — a place where you can bring the eyes of reason, whether you are a person of faith or not," Gibson told CP. "It can be a shared pilgrimage of sorts to a deeper understanding. Or findings may not convince skeptics or prove the case for believers, but there's potential for a real, constructive conversation rather than an argument."